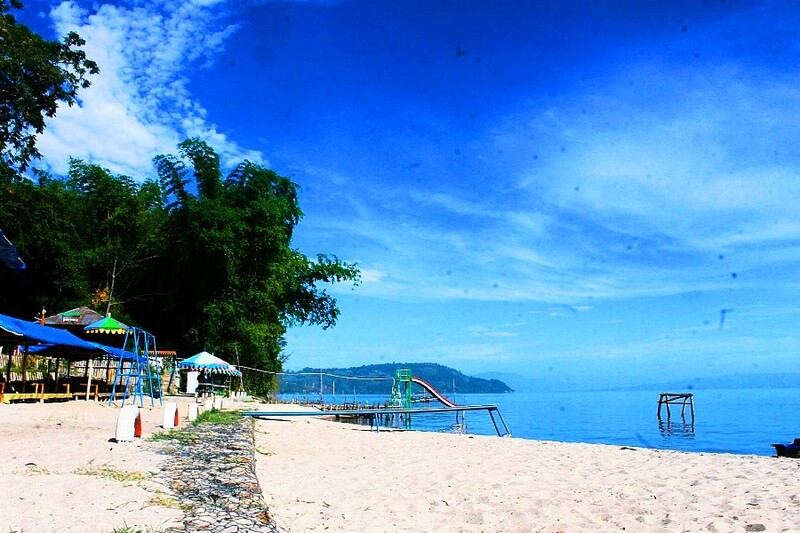 Experience a 4-day, 3-night trip to Lake Toba, Parapat, Samosir Island, Berastagi, Bahorok, and Medan. 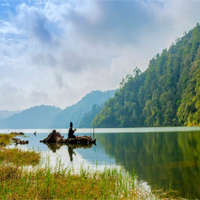 Parapat is a beautiful town on the northern shore of Lake Toba, where landscapes and weather will offer an incredible experience on your tour of the world’s largest volcanic lake. 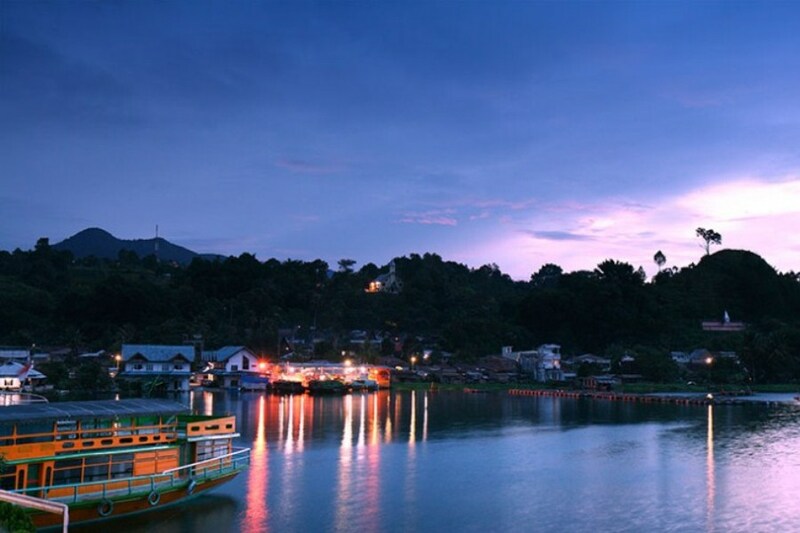 Samosir island at the center of the lake is home to ancient Batak culture, where historical objects from many generations ago have attracted millions of tourists. Bahorok is perfect for nature and animal lovers who are keen to explore the lush green rainforest of Gunung Leuser National Park – a UNESCO World Heritage Site – in the village of Bahorok, North Sumatra. See the numerous birds, plants, and rare mammal species such as gibbons, Sumatran serows, Sambar deer, and leopard cats. Bohorok offers a relaxing atmosphere with endless jungle trails of promising adventures and wildlife encounters. Accommodation at Bahorok is local standard guesthouses with western toilet and either shower or traditional wash with bucket and scoop, hot water available at certain times of the day. We will pick you up at the airport or your accommodation in Medan. Please book your flight to Medan. 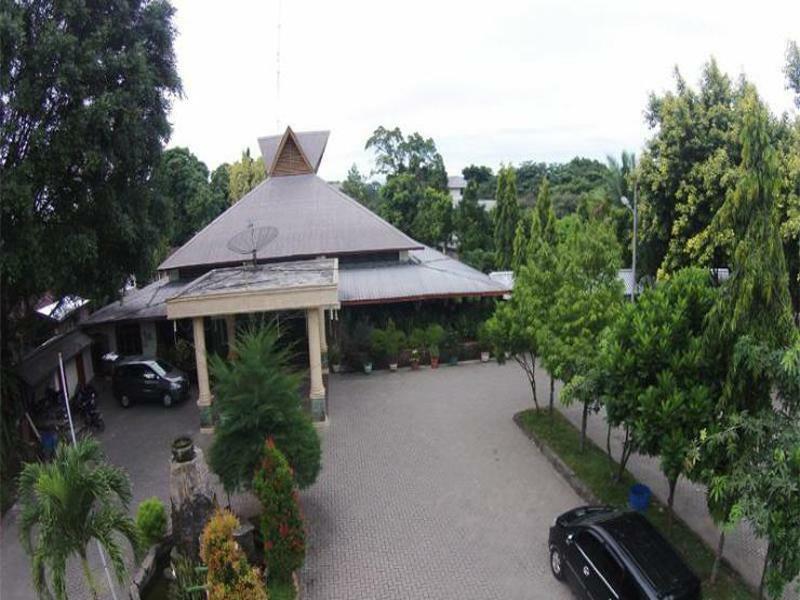 We will drop you off at the airport of your hotel in Medan. Please book your flight from Medan. Meet your guide at the airport then start on the Medan City Tour. Visit Maria Annai Velangkani, a Catholic church with unique Indian characteristic, then Maimun Palace of the old Deli Kingdom, and a Chinese temple. After the city tour, depart for the town of Parapat. Parapat is a remote and lakeside town on the east shore of the vast volcanic Lake Toba, i.e., about 180 kilometers (110 mi.) from Medan. 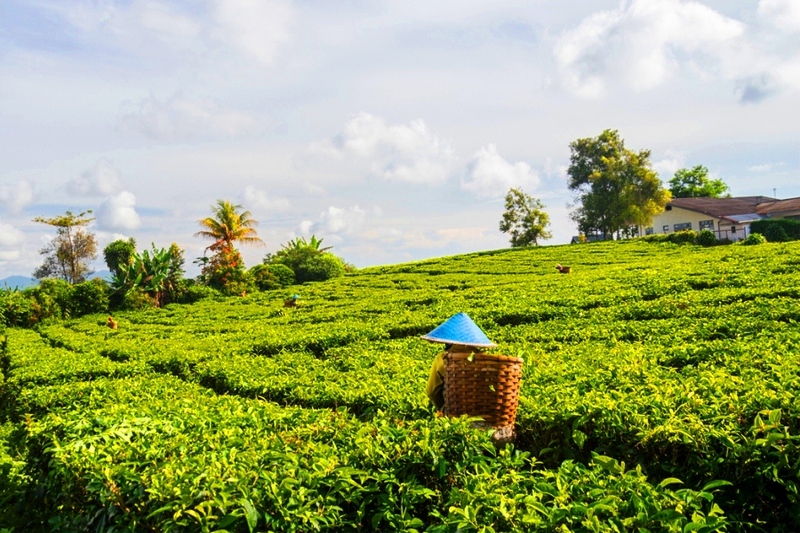 En route, pass through several small towns and the extensive view of rubber and oil palm plantations, paddy fields, and mountains. Upon the arrival at Prapat, have dinner and check in the hotel to stay overnight. After breakfast, drive to Ajibata to catch the first ferry to Samosir, a large, lovely island in the middle of Lake Toba, in a 45-minute ferry ride. Visit the Tomb of King Sidabutar and Tomok village. 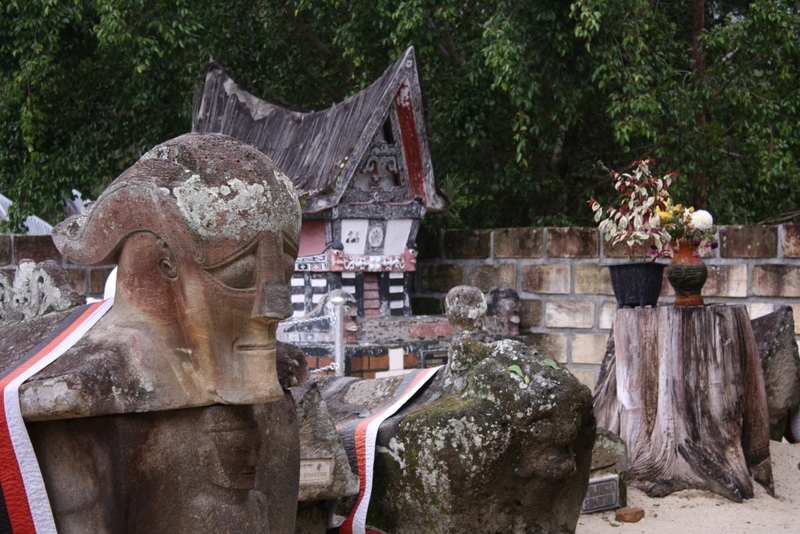 Then travel by car to Ambarita, a traditional hamlet with ancient megalithic furniture in front of the traditional house. After lunch, depart for Berastagi via the ring road of Lake Toba. 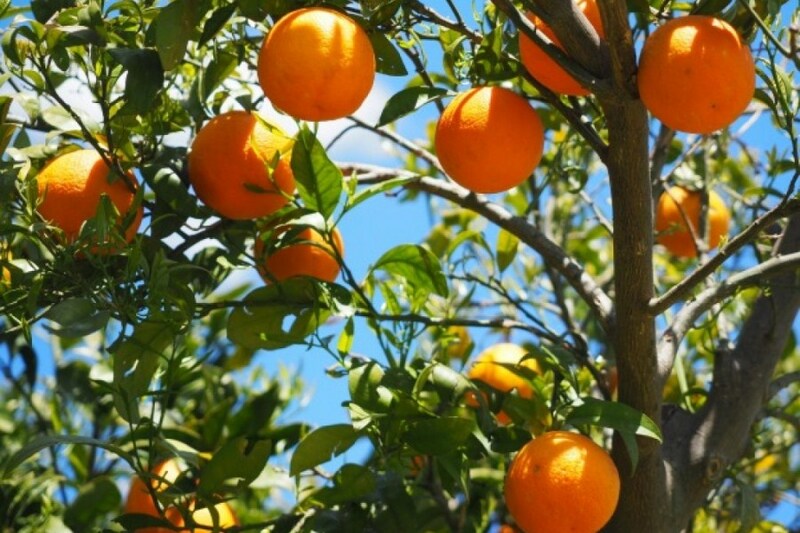 En route pass by pine tree plantation, the magnificent scenery of Lake Toba, vegetable and fruit farms. 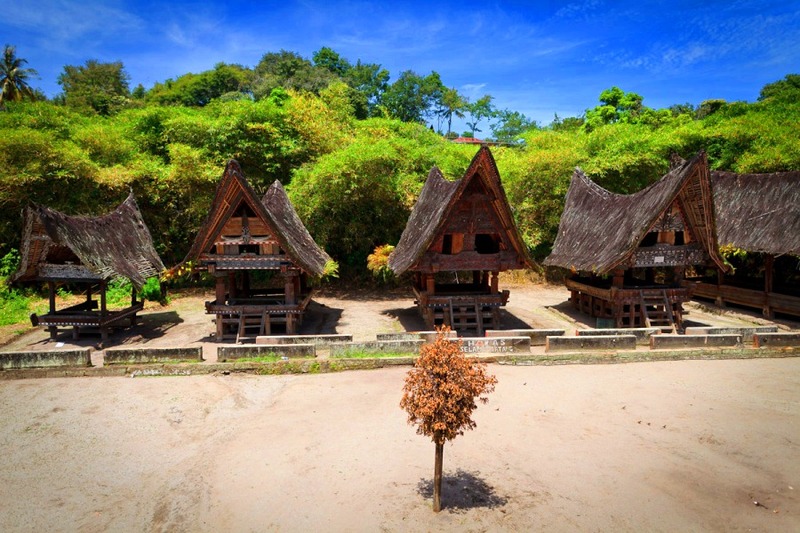 Visit the ancient King’s Palace of Simalungun at Pematang Purba. 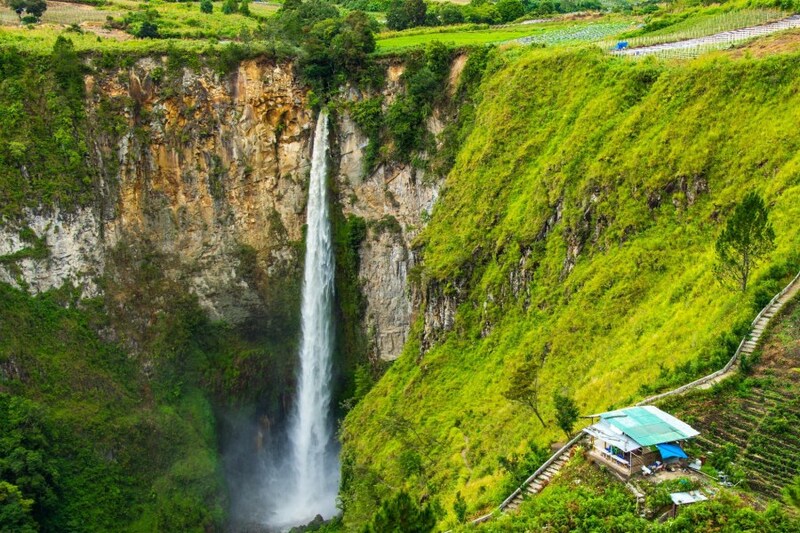 Proceed to the slender Sipiso-Piso waterfall which drops into Lake Toba from hundred of meters height. Arrive in Berastagi, a refreshing mountain resort dominated by two active volcanoes. 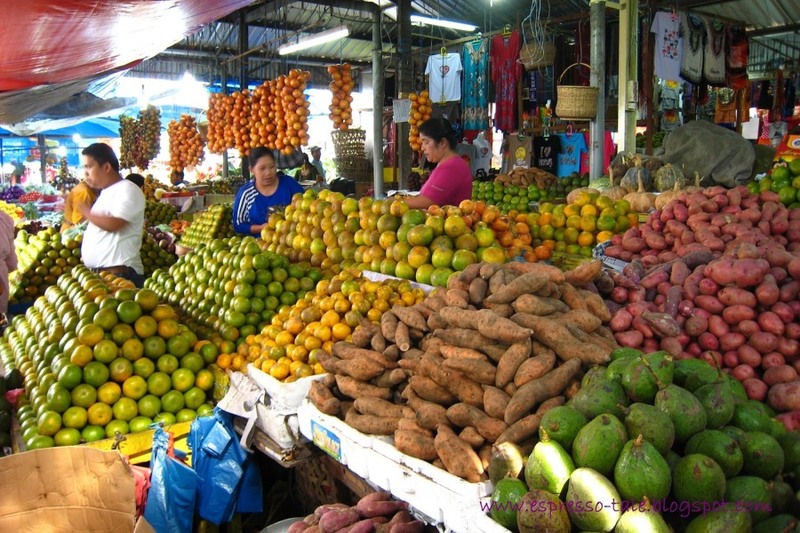 Visit the fruit market and the traditional Batak Karo village. Then check in the hotel. 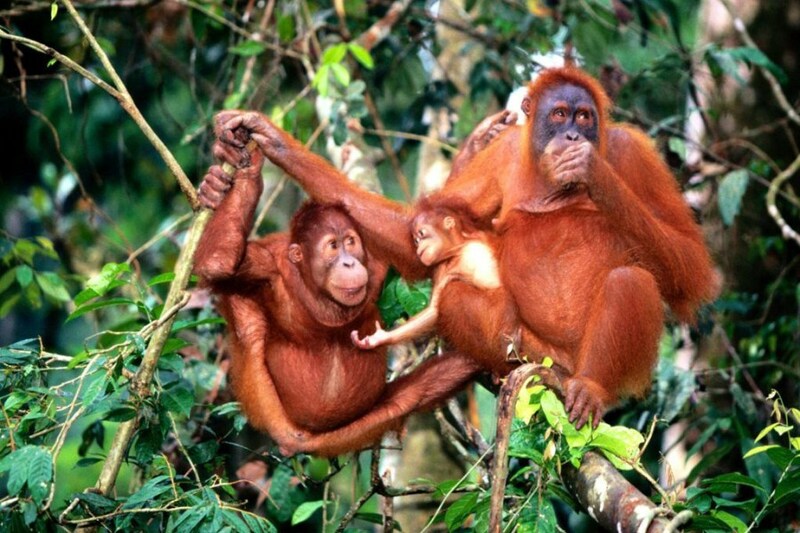 After breakfast, drive north-westward to Bahorok via Medan, to see Orangutan center at Bukit Lawang in Bahorok village where Orangutans are trained to return to their natural habitat. En route, pass through several small towns and the vast view of rubber and oil palm plantations on various countryside landscapes. The road is still bumpy in some places. 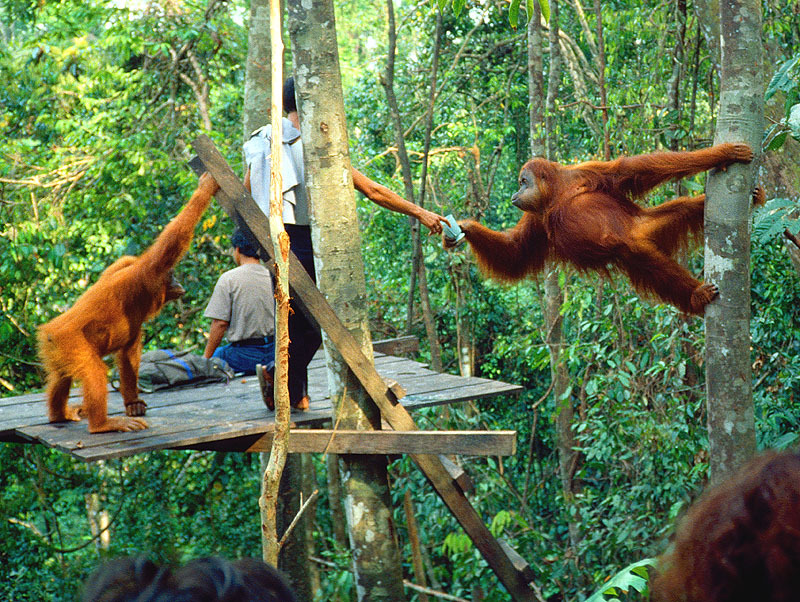 Arrive at Bahorok, start soft trekking to see the Orangutans habitat. First, walk along the riverbank to the crossing point. Then, cross the river to the rehabilitation center. Hike up the hill through the rainforest to see the activities of those illegally captured and young Orangutans undergoing the training. After the visit, check in the guesthouse and stay overnight at Bahorok. Depart from Medan, the capital city of North Sumatra, via plantation road. Departure flight must be after 12 pm. Your tour has ended with lots of memories.